Gates Machine Tool Repair Gates Machine Tool Repair boasts a 50,000-plus square foot facility allowing for the disassembly, repair, reassembly and erection of numerous different machines – all moving on schedule. In addition to our state-of-the-art shop, we staff some of the most skilled field service technicians available. This means that our customers can utilize Gates expertise in their own facility … our field technicians will travel to your location to assist in repairing, dismantling, erecting, or removal of necessary projects for service at your shop or ours. 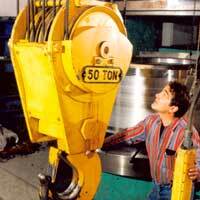 Gates Machine Tool Repair facility incorporates a high lifting capacity of up to 50 tons. 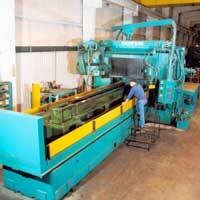 This allows us to handle the largest components for machining and assembly. In addition, our shop houses some of the world’s largest capacity planers, grinders and mills … no job is too large. With such a wide range of capabilities, Gates is able to manage any size, make or complexity of machine tool. Help to protect and preserve your machine tool investment – no matter how small or large. Call Gates Machine Tool Repair today at 281-489-8356.